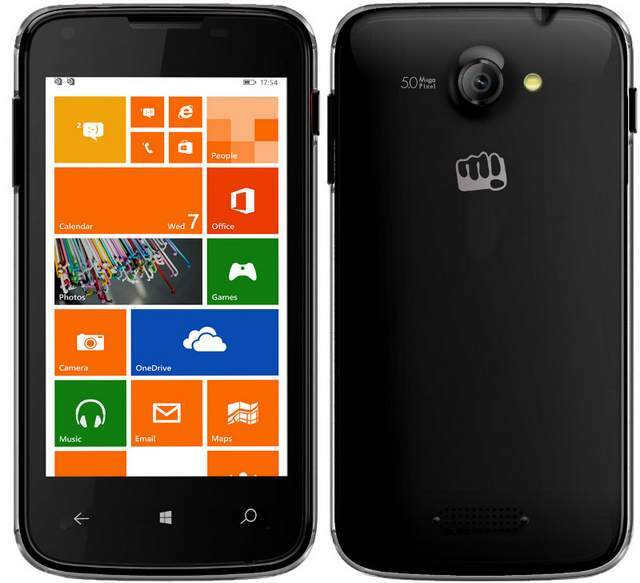 Micromax has launched there first Windows Phone 8.1 Smartphone ,the Micromax Canvas Win W092. The Canvas Win W092 comes with some nice specifications, considering the price at which it comes. Company has also launched the Micromax Canvas Win W121, which has better features than the W-092. The Wo92 has 4 inch WVGA display and 1.2GHz quad core Qualcomm Snapdragon 200 CPU. The MMX Win W092 runs on latest Windows Phone 8.1 OS. It is a dual SIM phone and has 5-megapixel primary shooter. It has 3G, WiFi, Bluetooth, GPS and micro USB ( no info on USB OTG ). For better gaming experience and smooth multi tasking there is 1 gigs of RAM and 8 Gigs on internal storage. It houses 1500 mAh battery which offers 6 hours of talk-time. The W092 will compete with Nokia Lumia 520 , 510, 525 , Xolo Q900s Win and Nokia Lumia 630. The Canvas Win W092 is priced at RS 6500.